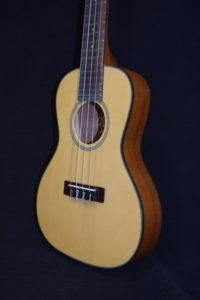 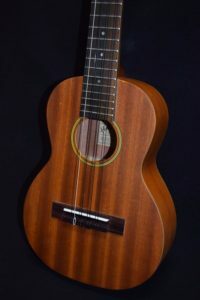 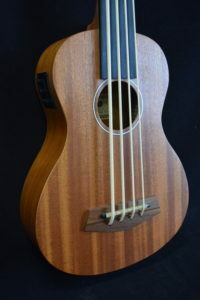 6-string ukuleles are tuned G Cc e AA, so all fingerings are the same as a 4-string, but the sound is fuller and richer. 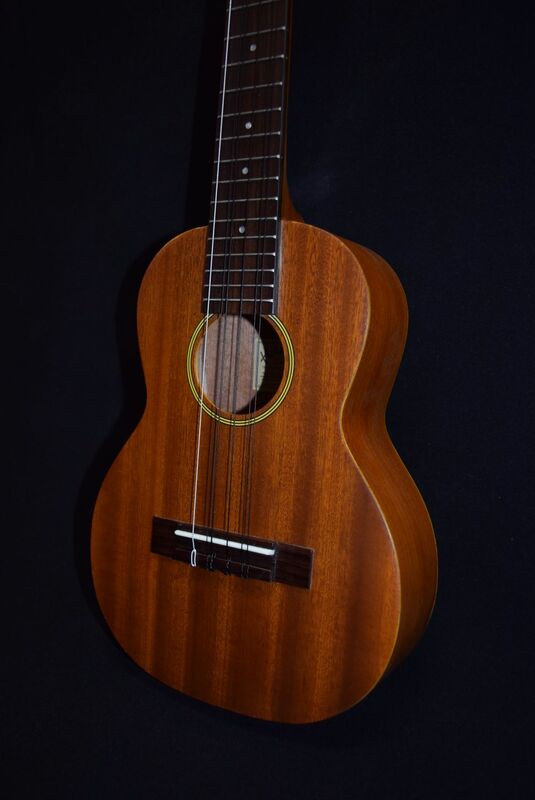 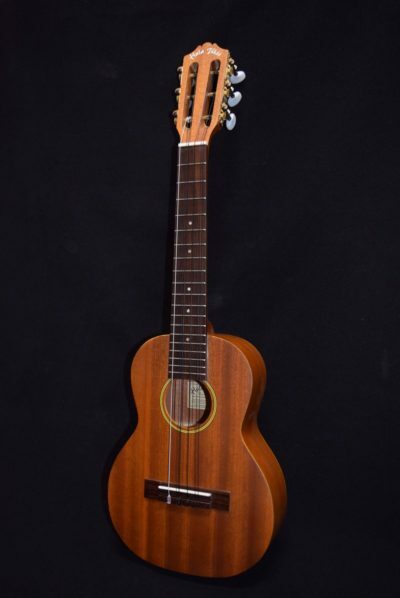 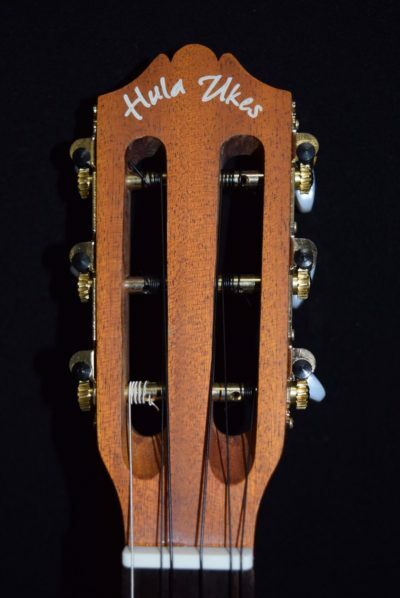 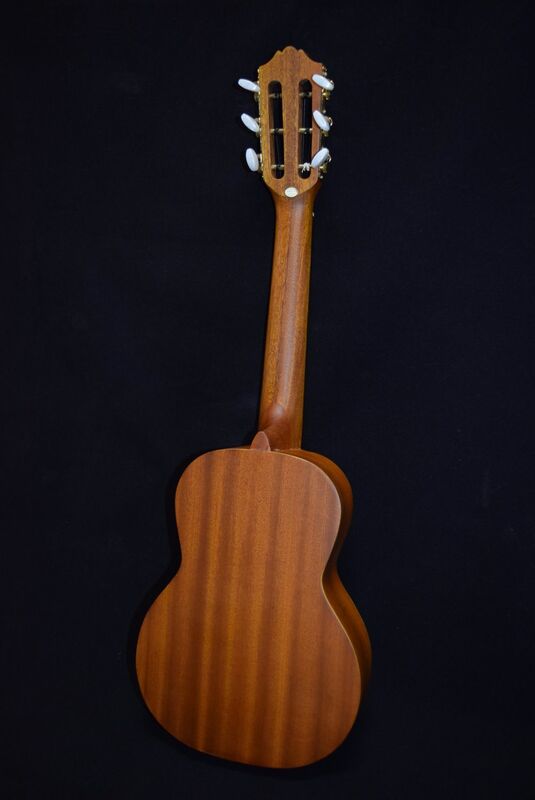 This is the least expensive of our Hula Ukes 6-string tenors. 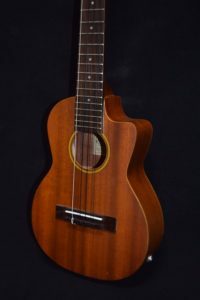 It has most of the same features a the more expensive ones, including its solid mahogany neck, nickel frets, and professional luthier set-up. 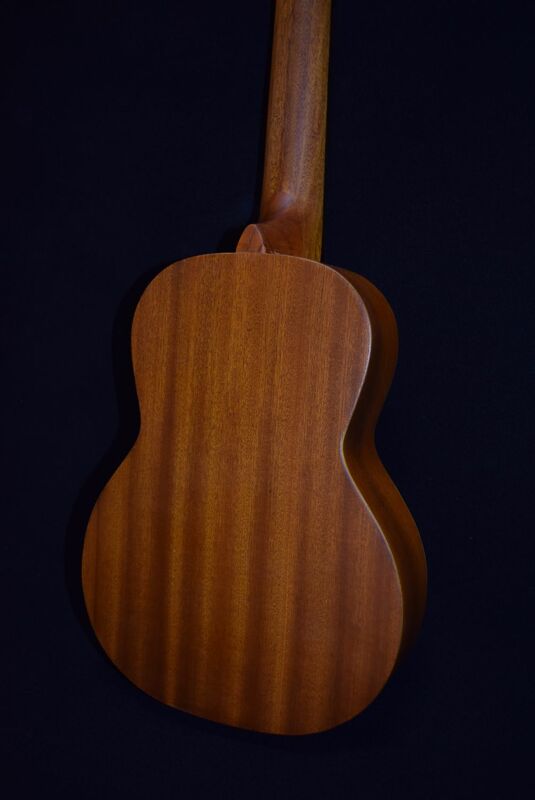 However, it is constructed of laminated mahogany rather than solid tonewoods like the more deluxe models. It delivers great intonation, action and playability and really good tone at the lowest possible price!